When she came to Canada from Iran in 2003, Haydeh Mohebbi found herself in the situation many newcomers face. She was confronted with a monumental task: rebuilding her life from scratch. Arriving with her two daughters, and followed five months later by her husband, Mohebbi lived with relatives for the first few months while she began setting up her new world in Canada. Fast forward 15 years and Mohebbi is a volunteer with Toronto’s Furniture Bank, a charity that collects gently used furniture and transfers them to families transitioning out of homelessness or displacement. She’s there every Wednesday, helping newcomers to the country, people transitioning out of homelessness and refugees to select furniture to make their new houses feel like homes. Speaking to Canadian Immigrant, Mohebbi describes her own early settlement. “I came with my two daughters, then my husband joined us later. We stayed at my brother-in-law’s house first, helping out with his kid and cooking so that they could work overtime to pay for the apartment. It meant I didn’t have time to go out and find a job,” she says. Back in Iran, Mohebbi was a fashion designer and her husband was an engineer. Starting again in Canada meant both had to switch careers and tighten the purse strings early on. Mohebbi found herself forced to borrow furnishings after she arrived in the country. “When we arrived, we borrowed some furniture from a relative. We were lent a folding sofa with a huge metal bar in the middle. The whole thing was quite funny. The bar meant that if you weren’t careful when you sat down, you would fall in,” she says with a laugh. 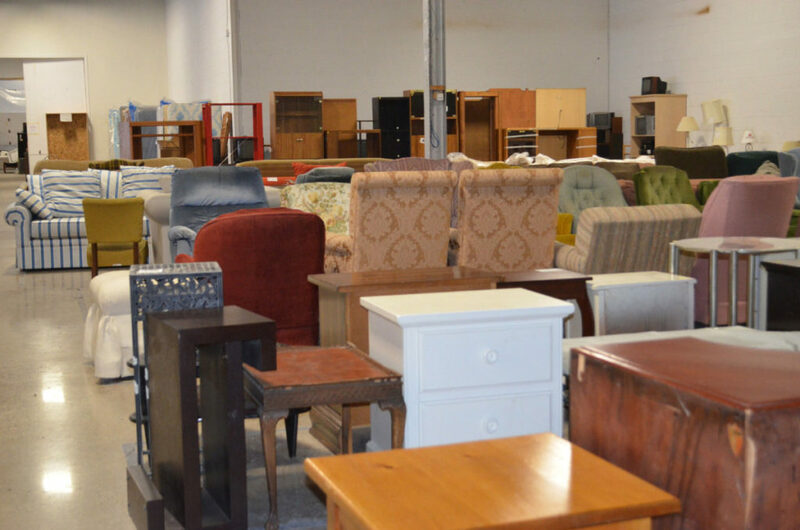 Able to sympathize closely with the excitement the clients of Furniture Bank experience when entering the charity’s Etobicoke, Ontario, showroom, Mohebbi is the perfect volunteer.